Building 100 is a 31,000 square foot former Marine Barracks located on the parade ground in the Philadelphia Navy Yard. 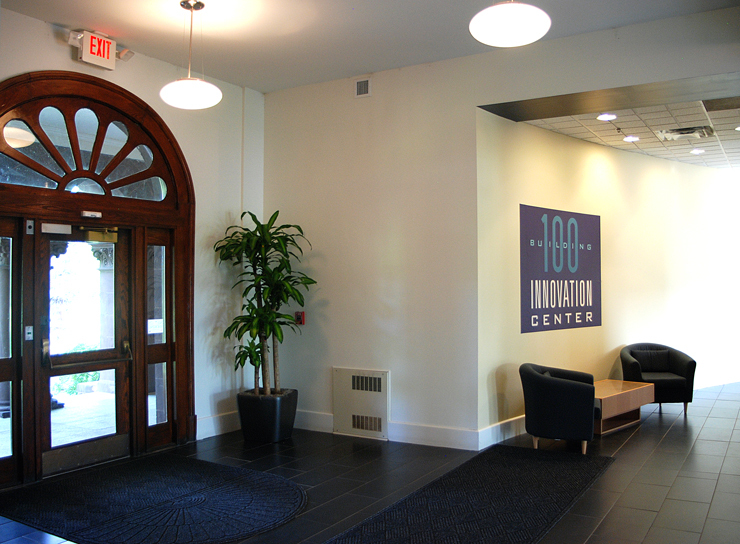 The Building was rehabilitated by P&A, in partnership with The Philadelphia Industrial Development Corporation, on behalf of Benjamin Franklin Technology Partners (BFTP) and the Delaware Valley Industrial Resource Council (DVIRC). The vacant and deteriorating building was converted into modern office space but maintains many of its original interior and exterior architectural details. It is occupied by BFTP, DVIRC, Penn State University and other office tenants. The project was financed through a combination of debt and historic tax credits.